Sports coaches can have a fundamental impact on our sport and the development of our players. As a coach, we aim to facilitate learning and create positive environments where players can make decisions. England Korfball offers a suite of courses for coaches and activators. Our education courses are coordinated and managed by Sport Structures. Please click here to see the latest courses or to register your interest. The objective of the England Korfball Level 1 Coaching Award is to equip learners with the basic individual skills, techniques and rules of the game to support a more qualified coach. It will help learners to develop their confidence in coaching Korfball ensuring that the sessions they deliver are enjoyable and safe. The course is 6 hours in duration. 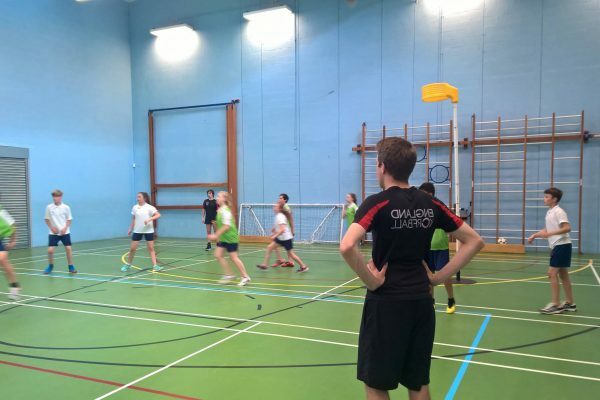 The Teaching Children Korfball course is an introductory course designed for aspiring and current teachers with little or no experience of Korfball working in both primary and secondary school environments. Learners need to be a New Qualitied Teacher, have Qualified Teacher status or be on a PGCE pathway. 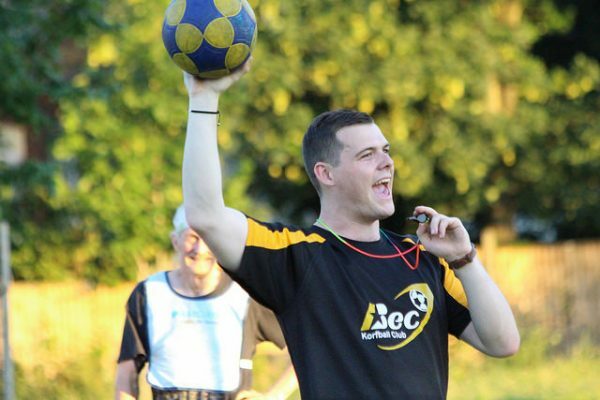 ‘Activators’ are enthusiastic volunteers who introduce Korfball to individuals in a fun, friendly and relaxed environment. Activators are essentially responsible for coordinating, organising and facilitating Korfball activity. The 1st4Sport Level 2 Certificate in Coaching Korfball is designed to provide learners with the skills and knowledge to enable them to coach Korfball sessions to groups of adults and / or young people in an appropriate environment. It is designed to develop knowledge and understanding of how to effectively coach individual and game play skills as well as coaching linked and progressive sessions. This course is designed for coaches that are operating as independent coaches in a club environment and those that are regular coaches of Korfball programmes (i.e. club team over a season). It is also appropriate for coaches working with talented athletes. The course is 4 days in duration. Learners are required to attend all 4 days. There is a minimum of a 6-week gap in between day 3 and 4 to enable learners to complete coaching sessions away from the course (a minimum of 4). I don’t have a level 1 but want to jump to level 2 – is this possible? If you have a minimum of 12 months experience of coaching Korfball but do not have a formal qualification, you can apply for recognition of prior learning. You will be required to successfully complete online learning which consists of multiple choice questions. We advise that all coaches, clubs and area associations make themselves familiar with the England Korfball Minimum Standards for Deployment for Coaches.